CORONAL MASS EJECTION IMPACT NOW: A “CME” hit Earth’s magnetic field on October 24th at 1800 UT. The impact strongly compressed our planet’s magnetosphere and may have exposed geosynchonous satellites to solar wind plasma. Mild to moderate geomagnetic storms are possible in the hours ahead as Earth’s magnetic field continues to reverberate from the hit. The satellites are still possibly in a danger zone in the hours ahead. 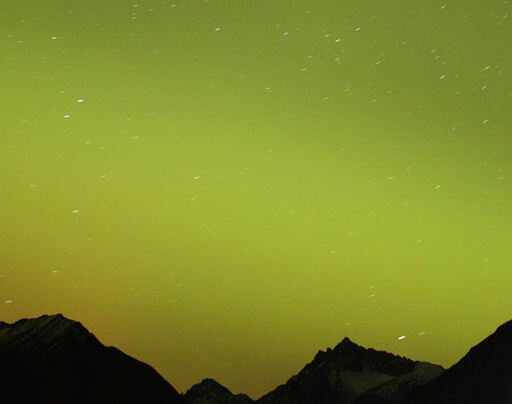 On the Weather Channel’s website, they are talking about the Aurora Borealis being seen as far south as Georgia– they are saying “solar winds” are causing it. Given the spate of CME’s that have been coming from the sun, I think we’re going to be seeing a lot more of this. I’m hoping and praying that this light show will be the worst we’ll get. But I also wonder what this portends. Recall that there was an unusual aurora borealis over Europe before WWII began– with all the trouble in the Middle East, I wouldn’t be surprised if we do see the start of war soon. I pray it’s not so, but you just never know. Pleae check out this video,,think its real ?? On youtube, listen carefully.. I could not hear all of what was said and to tell you the truth, it made me feel really scared in- side even when I didn’t understand what was being said.